Are you planning to sell your property? 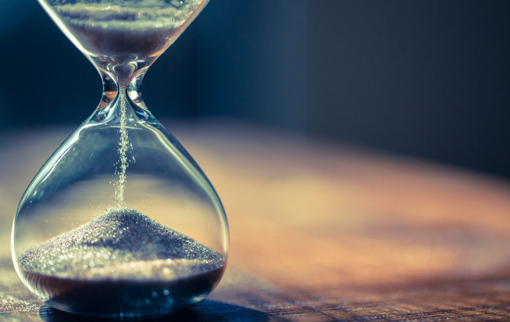 Knowing how long it will roughly take to sell a house in the UK will definitely be something of interest to you potential sellers. The truth is, there is no way to know for certain how long it will take to sell your house. However, knowing the average time it takes to sell a house is, without a doubt, of high interest. 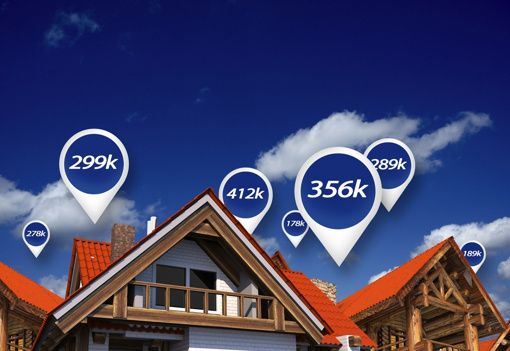 The average time it takes to sell a house depends on many specific factors; the location of your home, the condition your home is in and the price – to name a few. This post will give you insightful information on what the average time it takes to sell a house is, based on facts and some interesting selling house trends that FastSaleHomes have discovered. Firstly, the location where your property is based will have a huge effect on how long it will take you to sell your house, this is because some areas are simply more affordable than others and consequently, are more likely to be bought there at a quicker rate. For example, Canterbury (average house price – £311,154) was found to be the area where house selling took the least time – 4 weeks being the average time to sell a house. Two other locations which had some of the quickest selling house periods were Peterborough (£203,000) and Coventry (£216,000) with the average amount of time to sell a house standing at 5 weeks. So, how long does it take to sell a house on the ‘slower’ side of the spectrum? Liverpool (average house price: £165,592) is the city where the average time it takes to sell a house is 4 months, it is consequently the location where a house will be on the market for the longest period. If you’re looking to sell your house fast in Liverpool, it’s very unlikely to happen in a short time-frame. It shouldn’t come as a surprise that London is the location where the average time to sell a house is second longest (3 months). This however, is the average and in many cases, it may take longer, especially as the house prices in London are highest in the UK and least affordable. If you’re looking for more specific locations and their average time it takes to sell a house, here is a useful guide. Wondering whether the price will affect the average length of time it takes to sell a house? The answer is YES! If your house value is too high or too low, it will have a detrimental affect on how long it will take to sell your house. Making sure the house is the right price is the key to a seamless process when trying to sell your house in a shorter time. If the price for your house which you are offering is too low, in comparison to other houses for sale in your area, potential buyers will assume that there is be something wrong with the property. Consequently, buyers will be very hesitant to buy your house. This will make the time it takes to sell a home much longer than it should be. 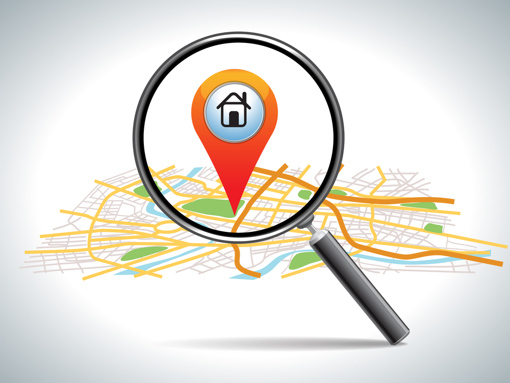 If your property is put on the market at an extremely high price, potential buyers will be less likely to attend your house-viewing – especially if it’s way out of their price range for that specific location. Be sure that you get a proper and reliable house valuation and that you don’t go over the top with the price. Getting the price right will decrease the time it takes to sell a property. How long will it take to sell my house if it’s in a very bad condition? This question should expect a disappointing answer. If your house is in a poor condition when you’re trying to sell, the average time it will take will be much longer than if it were in a good condition. Paint the door and any outdoor fences that are visible from the outside – first impressions count! Also, consider painting the walls in the interior of your home in neutral colours which are much more appealing to the eye than a dark purple, for example. Make sure your house is spotless when pictures of your property are taken to be uploaded on estate agent websites. 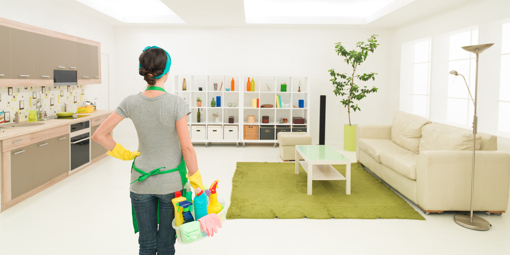 Be sure to also follow-through with a clean and organised house for house viewings. If you have a garden, be sure to make it look presentable. A pretty-looking garden is what sells. Investing in a conservatory or driveway can also add value to your property and improve the condition of your house. After following these suggestions, in order to improve the look of your home, the time it takes to sell your house will be considerably shorter and the valuation of your house may even increase, don’t forget that the type of house your trying to sell will also affect the time it takes to sell due to buyers’ preferences. The important thing to take away from this point is that no one wants to buy a house that is in a terrible condition. 4. How Long has it Already Been on the Market? The average time it takes to sell a house also depends on whether the house has been covered in cob-webs (has been sitting in the online market for too long). Potential buyers may avoid buying a house which has already been on the market for a long time. This suggests, again, that there is something wrong with the property. Make sure that, when putting your house on the market, you research the best ways to sell your house and take advantage of the many websites that exist. Also, spend time in ensuring you have high-quality advert for your house (e.g. outstanding pictures and full descriptions). Similarly, make sure to share it on multiple websites such as RightMove, Zoopla and others. This will cut the amount time it takes to sell a house as your house will be more likely to be seen by potential buyers. Thinking about the right time to put your house on the market is vital when wanting to reduce the time it takes to sell a house. There have been a few studies to show that selling your house during the Spring season is the best time, specifically in March. This is due to the fact that houses look better in the Spring months; gardens are greener, and the market is overflowing with keen buyers. 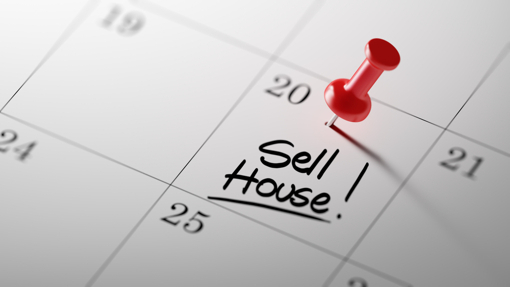 The months to avoid selling your house in are: January, August and September. Furthermore, it’s important to note the best day to put your house on the market is Monday and definitely avoid Sundays. 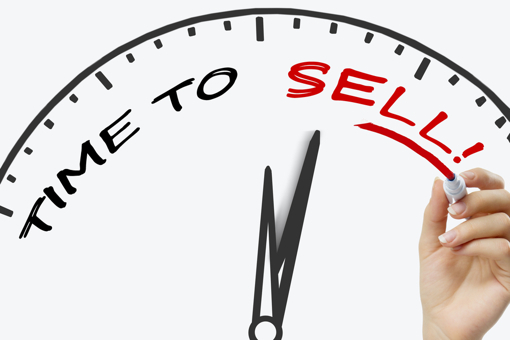 Putting a house on the market at the wrong time will increase the average time it takes to sell a house, so if you’re in a rush to sell your house – put your house on the market on a Monday in March for optimal success in selling your house quickly. Be aware, that the time it will take to sell your house will also depend on whether you have major works going on around the area of your house. This is because major works are an eye-sore and are extremely noisy – these factors will not go down favourably with potential buyers. Most individuals look for calm, quiet areas to buy a home and not one where new flats, roads or houses are being built constantly. 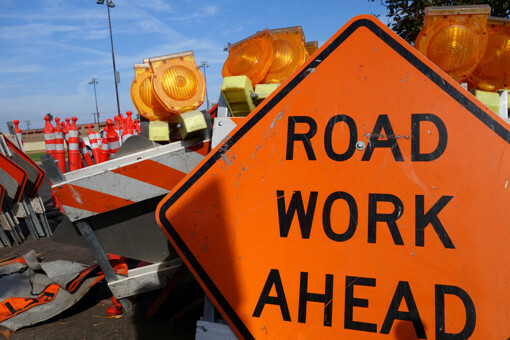 So, if you know that major works or road works are due in your area and you’re planning to put a house on the market – be wary that the average time it takes to sell a house will be much longer. The points above are the most vital factors that affect the average time it takes to sell a house. But if you urgently need to sell your house, regardless of all these factors, sell your house with FastSaleHomes for a quick process which will be fully taken care of by our team!